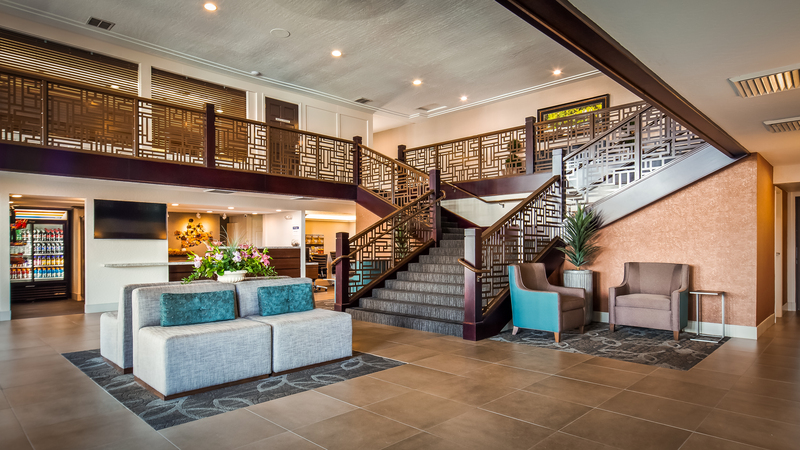 Take a virtual tour of our hotel’s rooms, grounds, and amenities. From our scenic pool to our stylish rooms, we match the beauty of Northern California with our lovely hotel. 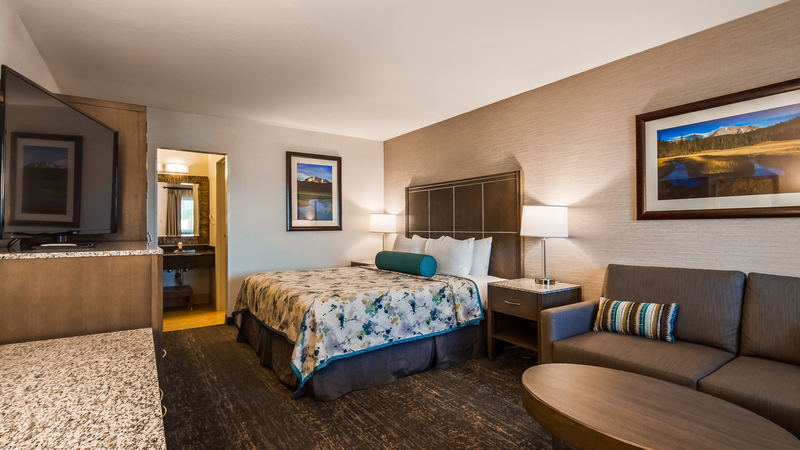 Whether you’re looking for a getaway in Shasta Cascade, enjoying life on the road, or coming to Redding for work, we have package deals to improve your stay. Discover a hotel restaurant that is sure to satisfy at C.R. Gibbs American Grille. 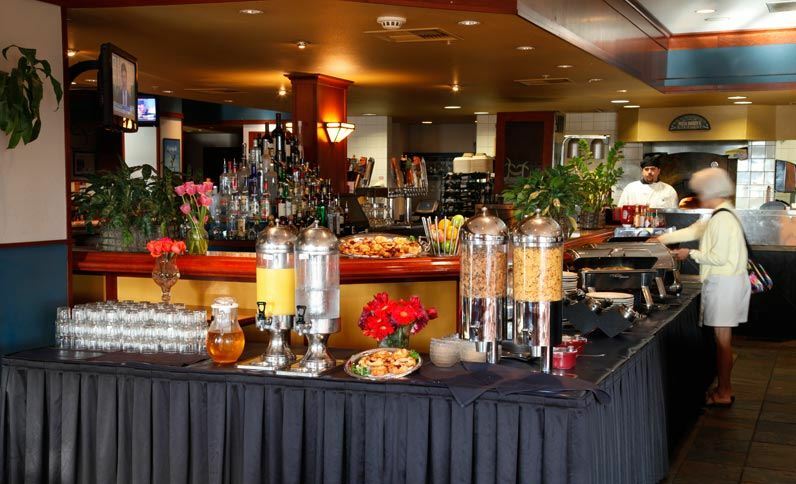 Hotel guests will enjoy a free breakfast in the restaurant lounge, with a meal that will start your day off right. Lunch and dinner at C.R. Gibbs are a local favorite, with a mix of American-style seafood, steaks, and salads, all prepared with attention and care. 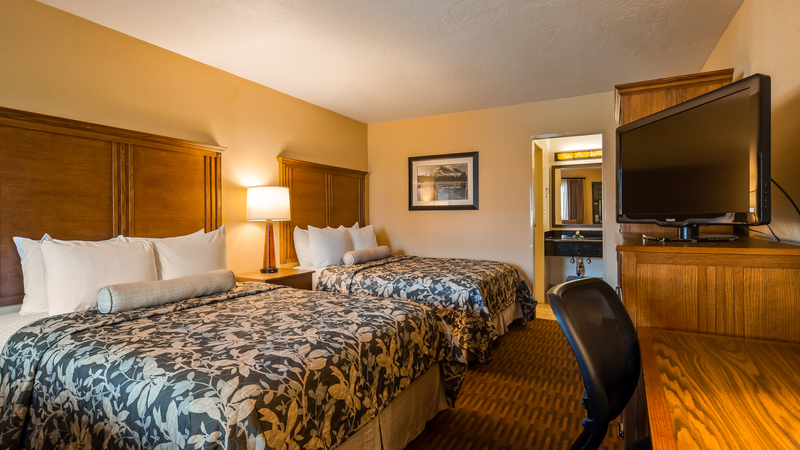 If you’re looking for a hotel for group bookings, contact us to learn more about organizing a block of rooms right in the heart of Redding. 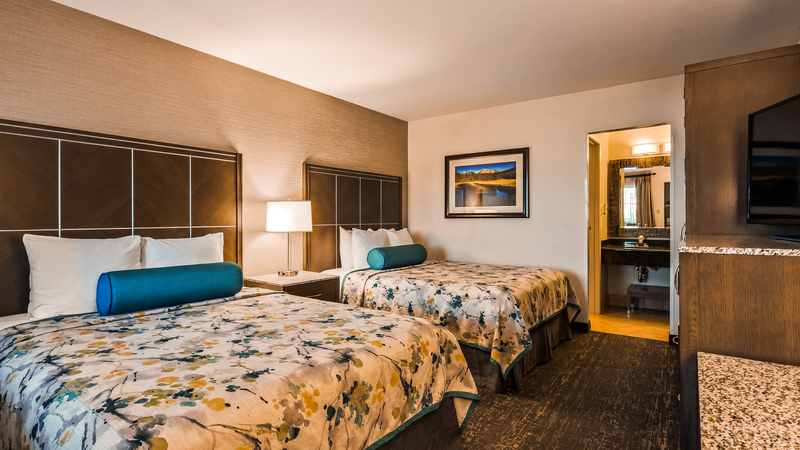 Browse through our photo gallery and imagine a day by our outdoor pool, a comfortable night’s stay on a Serta mattress, and access to our friendly hotel staff at the front desk. Stop by to say hi, or to get a local recommendation or reservation! 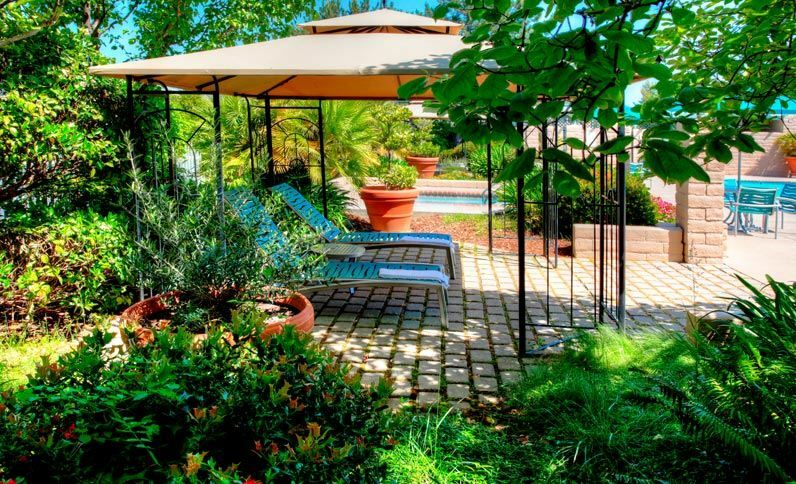 Take a dip in our scenic outdoor pool, surrounded by newly landscaped gardens. Unwind in the secluded whirlpool spa, perfect for bubbling away your troubles. 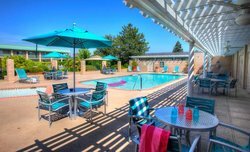 The pool has a well-furnished seating area so you can take in some Northern Californian sunshine. 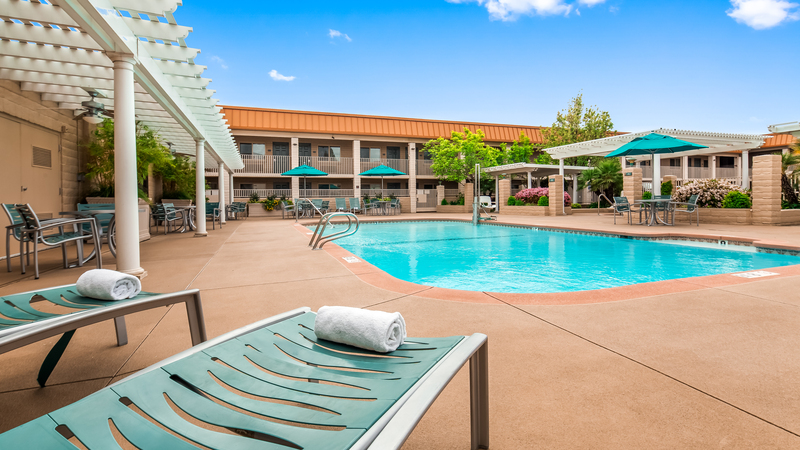 Our recently upgraded pool is the largest hotel pool in Redding, CA! The pool starts at 3ft and goes to a full 8ft. Enjoy an afternoon splashing in the pool, or soak up the sun on poolside loungers in a landscaped garden surrounding. 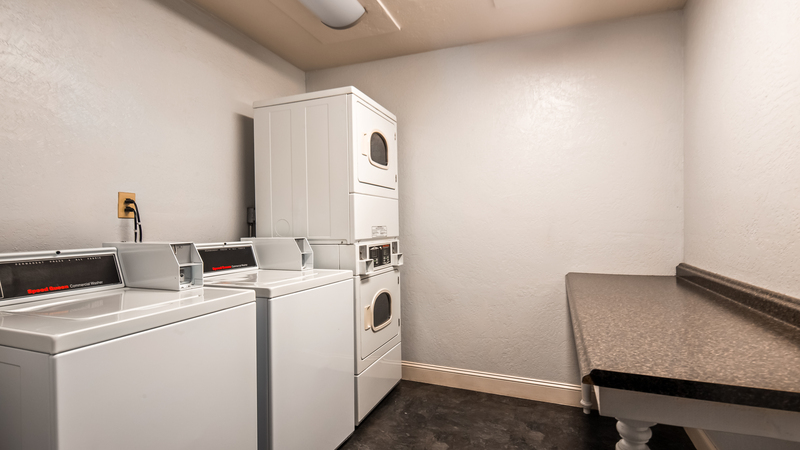 For even more relaxation, hop in the 8-person whirlpool, heated to perfection year-round. 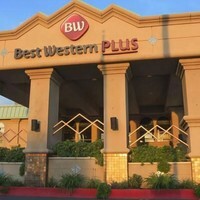 If you have any last minute printing needs, head to our business center off the lobby. 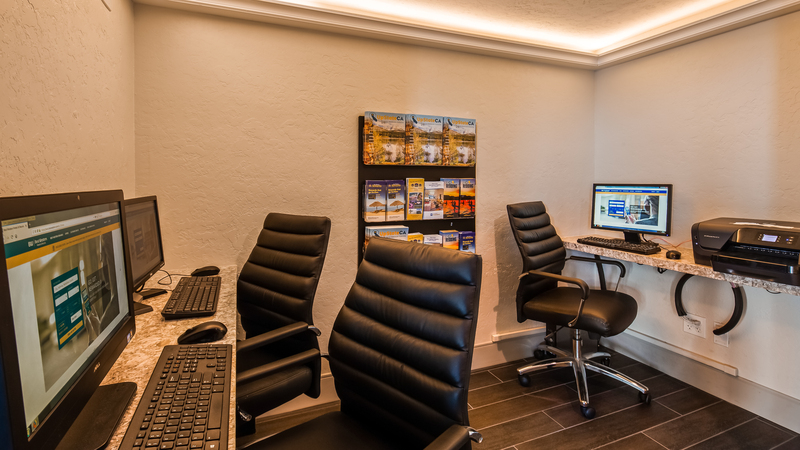 We also have three computers in the business center if you need to send any e-mails or connect back to the office. 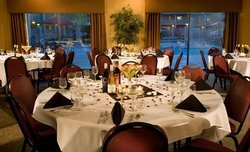 Our hotel in Redding has two event spaces, with a capacity of 40 to 80 people. From social functions to corporate events, we have experience hosting and helping plan a wide range of private affairs. 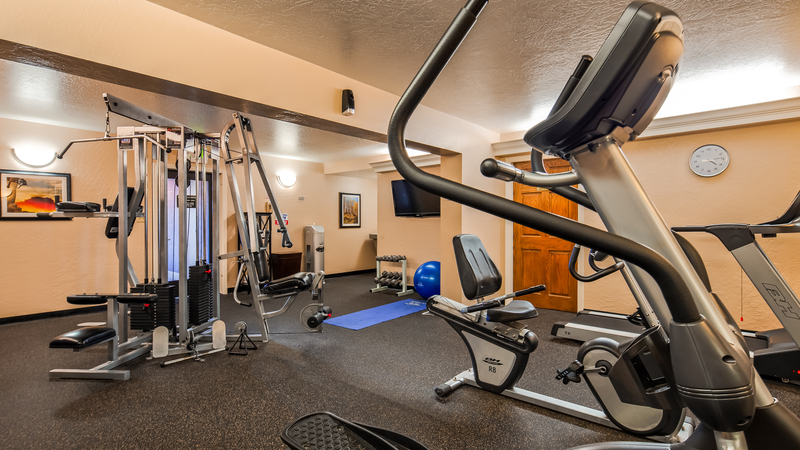 Our full-service event facility provides group booking options so all your guests can stay under one roof, as well as on-site catering from C.R. Gibbs. 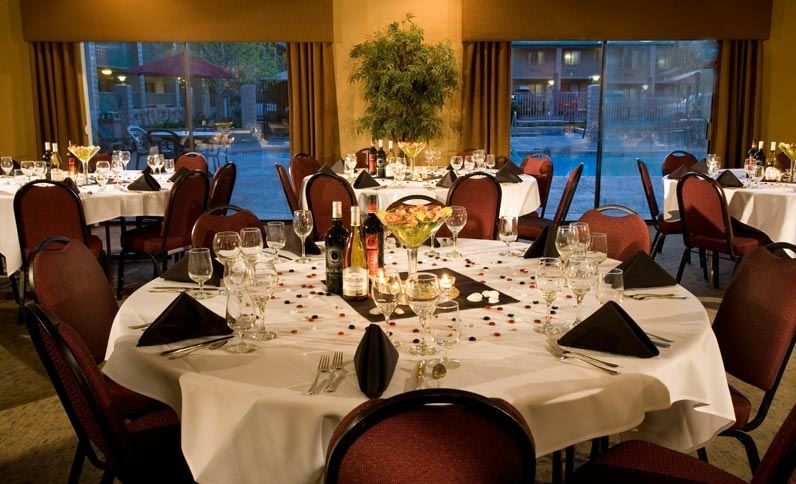 Book the Cascade Library Room or the restaurant’s Banquet Hall for your private event in Redding. For details, capacities, and more, start planning! 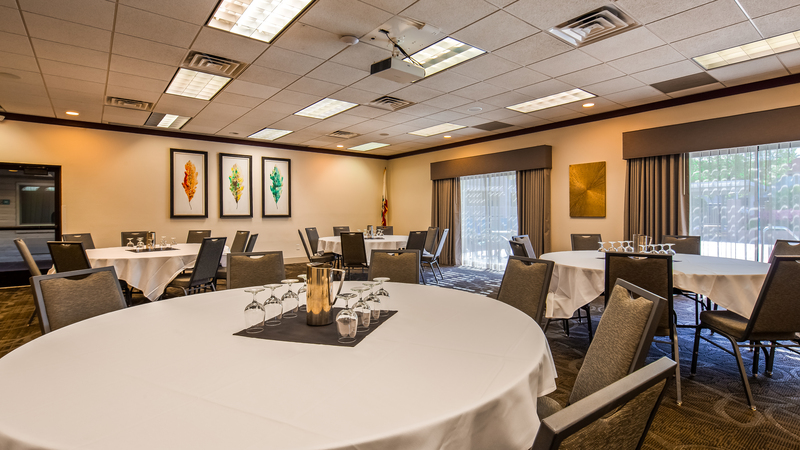 Our smaller conference room is 300 square feet, perfect for smaller meetings and interviews. 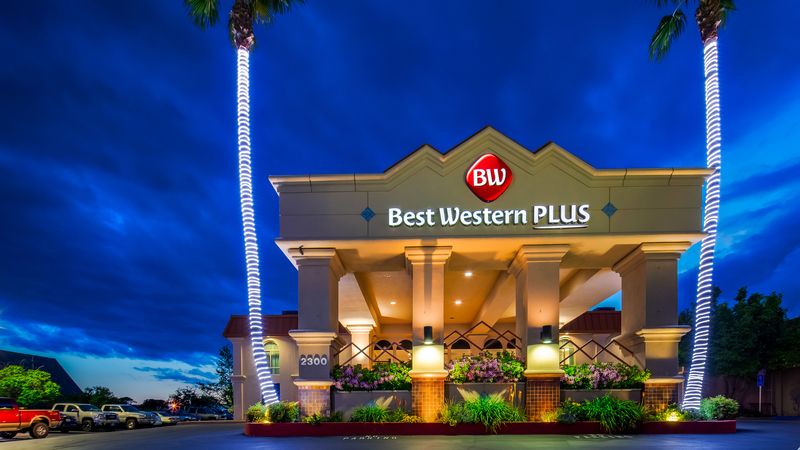 Enjoy all the perks that having award-winning dining right on site offers! Join us for lunch and dinner with an American-style menu that’s sure to please even the pickiest eaters. 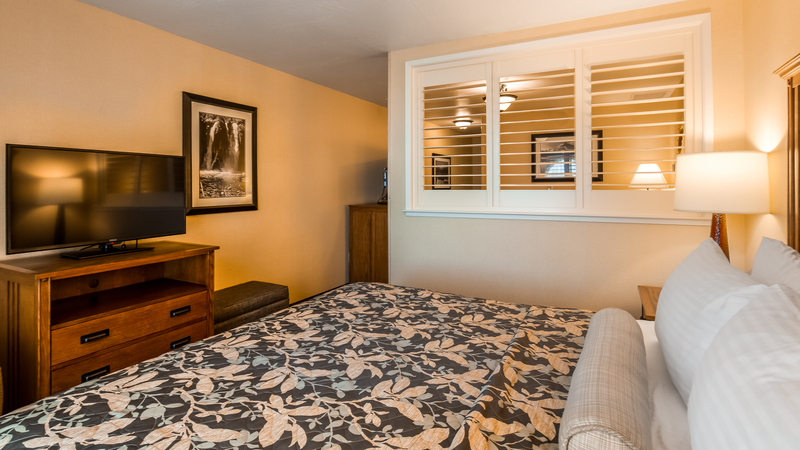 Hotel guests can order off the menu to go, and enjoy a meal in their room, or in the charming outdoor patio. 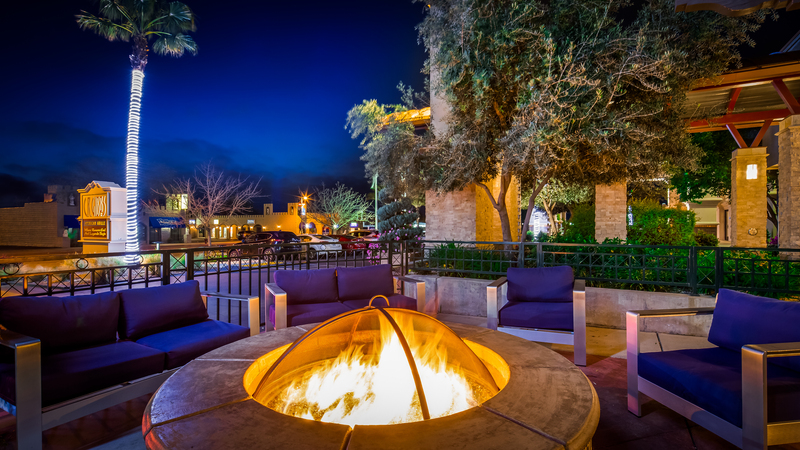 Gather around fire pits in the winter, or in the warm California sunshine in the summer. C.R. 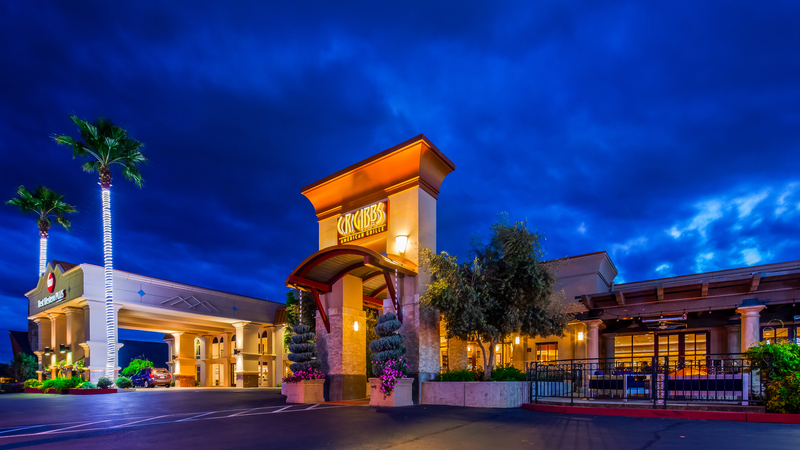 Gibbs American Grille is an iconic Redding, California restaurant and bar. 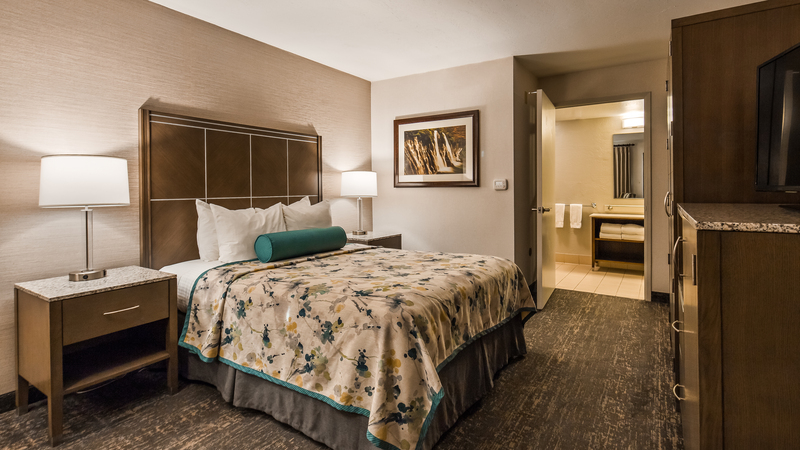 Hotel guests can stop by for a complimentary hearty breakfast, with filling options that will start your day on the right foot. Pile your plate high at the buffet with freshly made chef's choice scramble, sizzling eggs and bacon, sweet pancakes or French toast, and so much more. The restaurant and bar serves lunch from 11 AM to 4 PM and dinner from 4 till close at 9 PM, except for Fridays and Saturdays when we’re open till 10 PM. 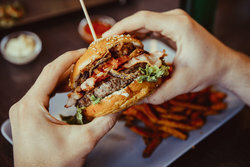 The restaurant specializes in classic Californian food made with the care and fresh ingredients our state is known for. 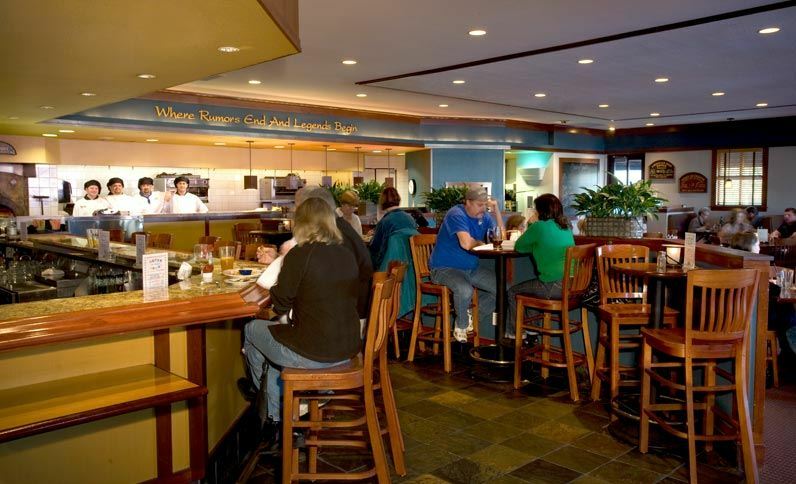 From foodies to picky eaters, everyone is sure to leave satisfied. More than just a hotel restaurant, C.R. Gibbs is a local institution and favorite. Guests of the hotel will enjoy a complimentary meal of the best breakfast in town. 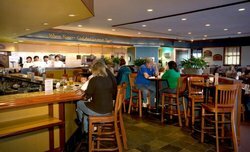 The breakfast buffet in the restaurant lounge serves sizzling bacon, eggs, sausage, made-fresh skillets and light cold options. Join us again for lunch and dinner made from seasonal, fresh ingredients. For over 40 years, C.R. Gibbs has served their famous shrimp bowl, along with charbroiled steaks, hearty salads, pasta, and so much more. Wash it all down with the biggest martinis in town, or one of our “Nutzy Hour” specials! All guests of the hotel enjoy a complimentary hot buffet breakfast. Choose from a range of options made fresh every morning in the restaurant’s lounge area. Enjoy eggs, bacon, a chef's choice scramble, French toast or pancakes, oatmeal, a cold continental-style spread, and more. Come down to C.R. Gibbs' lounge for our full, hot buffet breakfast. From 6 AM to 10 AM every day, enjoy a selection of eggs, bacon, chef's choice scramble, french toast, just to name a few of our hot choices. 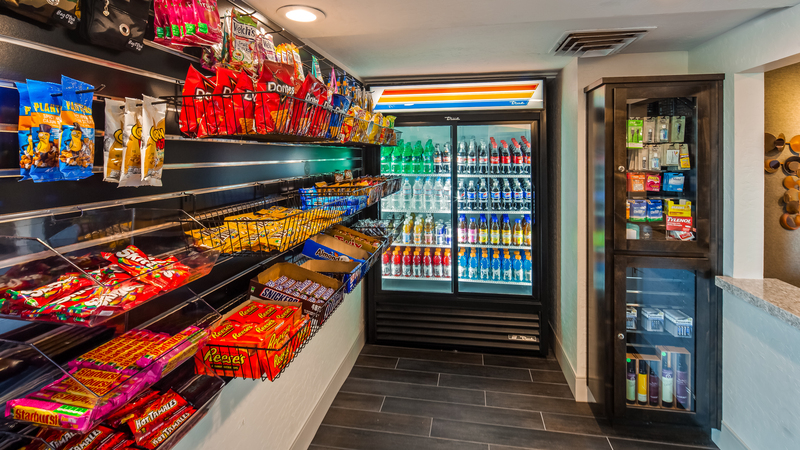 For travelers on the go, we have a selection of bread, pastries, and all your favorite spreads, cereal, and quick options before a busy day.